It’s easy to say that camera drones are a growing advancement in modern technology. They present a range of possibility, effectively innovating photography. They were introduced in the civil sector in around 2013, quickly becoming a popular device for many. These unmanned vehicles can now be bought by anyone, and can be used for numerous purposes. Drones have become a common medium for recreational photography and video-taking. The distance a drone can travel also varies. Some models have a range of 30 meters, while larger ones can travel up to 7 kilometers, giving the owner an aerial view of everything along the way. Authorities can make use of drones using them to track, monitor, and patrol the streets and borders from the sky. They can survey large crowds, be used to monitor illegal activities such as hunting in a wildlife reserves, and act as scouts for convoys. Another important use of drones is the transportation of items and goods. During times of natural disasters, they can carry humanitarian aid such as medicine and clothing for those injured. The multiple uses of drones are one of the reasons for why they are so popular for civilians, and are why several electronic companies manufacture them. Customers often consider several aspects of a drone before purchasing it, such as the build, features, and reception. These factors give a holistic impression of a company. To help you choose a drone, we have listed a few of the top drone brands, pinpointing their products below. Drones produced by the Holy Stone Company are well-received on online sites such as Amazon, for their range and quality. It was founded in 2014, producing high-quality toys, before expanding and manufacturing drones. Their Holy Stone F181 RC Quadcopter Drone is favored for its camera that has 360 degrees rotation. It can travel for 50 to 100 meters, and has a battery life 7 to 9 minutes, great for landscape photography. It also possesses the ability to maintain its altitude after the owner releases the throttle. Another highly-rated model created by Holy Stone is the Holy Stone HS170 Predator Mini RC Helicopter Drone. It holds a headless security system, which enables the user to easily direct the drone, and its 6-Axis Gyro Stabilization System keeps the drone stable while flying. It can travel distances of 30 or 50 meters, and holds a battery lifespan of 6 to 8 minutes. A third model is the Holy Stone X400C FPV RC Quadcopter Drone. It has a live camera feed, and possesses a Wi-Fi feature. It, too, features a 6-Axis Gyro Stabilization System, making it easier to take sharper, more focused pictures and videos. It also has strong, responsive motors. This private company was founded in 2006 in Shenzhen, and specializes in producing drones. It is well-known for its long-lasting products that are available all around the world, including Germany, the United States, and Japan. The DJI Phantom P3-STANDARD Quadcopter Drone, which can be found on Amazon, is one example of their great-quality models. It has a battery life of 25 minutes. It can also record videos in 2.7k HD quality, and pictures of 12 megapixels. Other features include 2-sets of propellers, a radio controller, and a micro SD card of 8 GB in storage. It also has a GPS system and an application for live-streaming by connecting the camera to your phone or tablet. 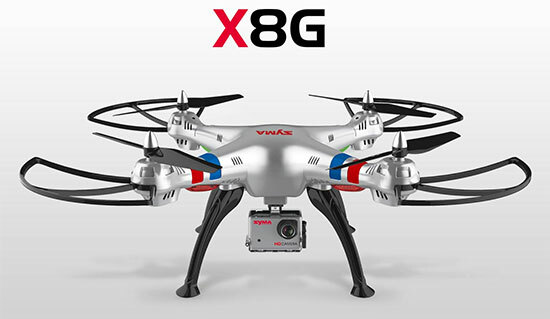 Syma is another highly-rated, Chinese brand that has been producing solid, well-functioning drones for over 10 years. 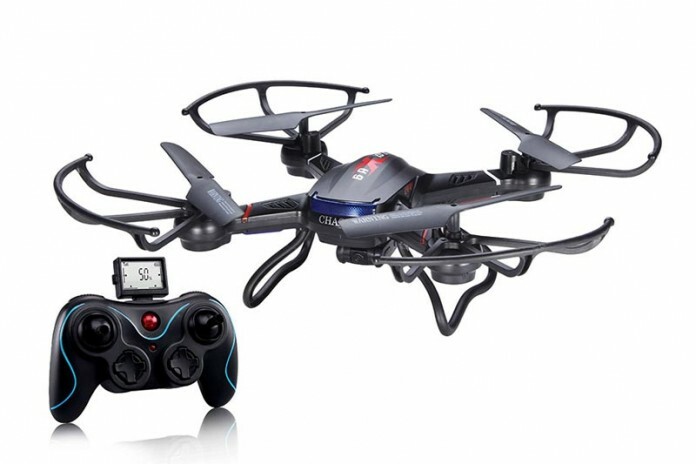 A popular model on Amazon is the RC Quadcopter, Potensic Premium Upgraded X5C-1 Syma RC Drone. The controller of this drone has one key that allows the camera to circle at 360 degrees, and the drone itself contains a 6-Axis Gyro Stabilization System which keeps it stable while in flight and while taking pictures. The 2 megapixels camera produces photographs and videos of great quality. The drone also has a 1 year warranty. A second, well-received model of Syma is the Syma X5C Quadcopter This drone is small enough to fly indoors, but its strong build and wind resistances allows it to also fly outdoors easily. 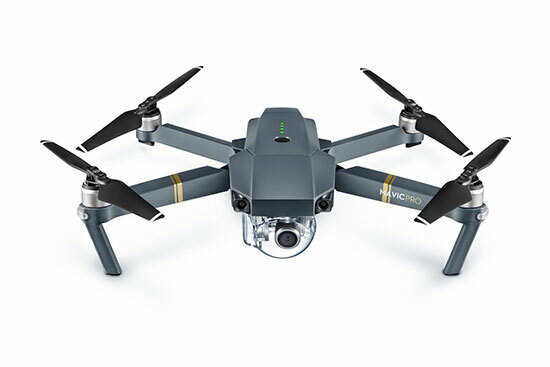 It’s equipped with a 6-Axis Gyro Stabilization System and an HD camera, allowing the owner to take photographs and record videos of high-quality, all while the drone maintains a stable altitude. It can fly for up to 7 minutes before requiring a recharge, and has bright lights that help the user identify it at night. SkyCo is another impressive brand for drones, some of which are available on Amazon. All of its drones are easy to use, meaning that even children can control them. It’s New SkyCo Q222K Rc Drone has an HD camera capable of recording in 720p. It also has the ability to live-stream what it records on your phone. It also features a headless mode, which allows you to control it and direct it without needing to adjust its position. Additionally, it has a “return to home” option that can be enabled by the press of one key. If you are searching for variety, there is also the New SkyCo Altitude Hold model to consider. 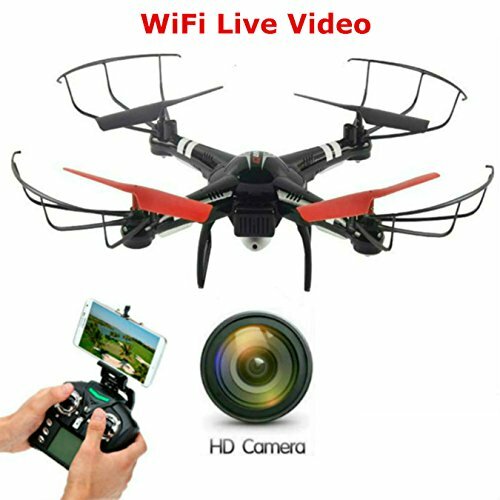 Its HD camera captures stunning photographs, and the Wi-Fi feature allows you to transfer images taken by the drone to your phone in real time. Its headless security system prevents any issues in direction or orientation, which is great considering the fact that the drone can rotate at 360 degrees. The drone also possesses LED lights that make it easy to spot, and add its impressive design. It’s quite clear; there are multiple brands producing drones, all with their different specifications and applications. As such, it’s not certain which brand is the best; but rather, each brand caters to a different need of the customer – a need for something with a long battery life, a need for something that is easy to use, or a need for something with several helpful features. If you are searching for a drone to buy, it’s best that you consider all the options available, and choose one of your likings.